Oh yeah... I have been using weights but they weren't there for those pictures. Definitely want to avoid warping. I figure another evening or two of skinning and I'll be done with this side and ready to flip her over. Awesome. Yeah, It goes faster than you think. I usually approach skinning this way in a checkerboard pattern... see this post from 2014! While the maiden on this one did not go well, I still have it to be rebuilt at some point. It was quite resilient in the nose-in crash. This technique is quite strong... even in just foam. The balsa will add more strength and add the benefit of being able to be on display in the sun. Latest pictures from the sheeting. First half is now foam sheeted (minus a few spots that need some cleanup. Formers are installed on the other side and most of the center crutch is removed. 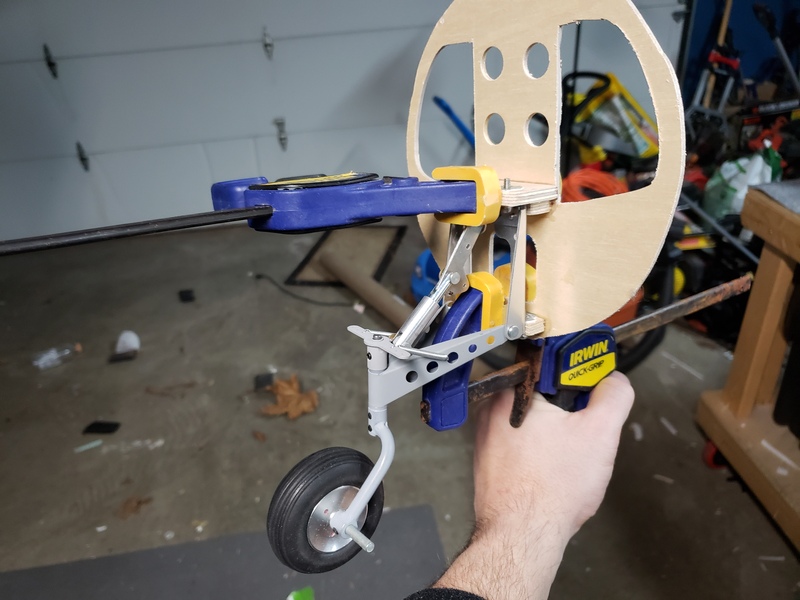 I've now laid down some of the CF strip that is basically the only stringer and I've started working on the ply plate where the tailwheel retract will mount. I need to get some internals planned and framed out before sheeting the other side. Current weight is just a hair over 18oz. Looks amazing. Love the tips and tricks in the vids. Impressive progress on that monster! Thanks all! I've had a bit of insomnia lately that has "helped" me get a lot done the last few days. 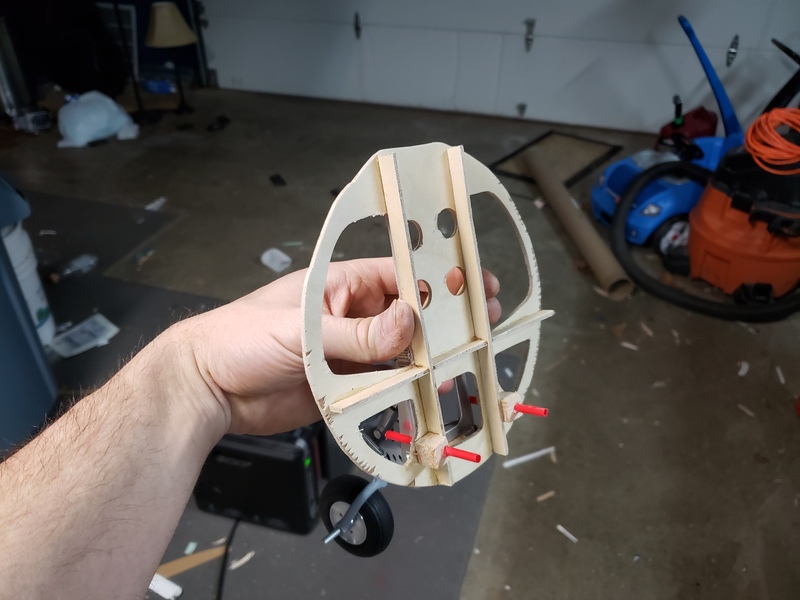 It is catching up with me today so I'm calling it an early night, but I did get some progress made on the tail wheel gear mount. This will allow the unit to be bolted in with 6-32 hex bolts so it will be easily removable for service. 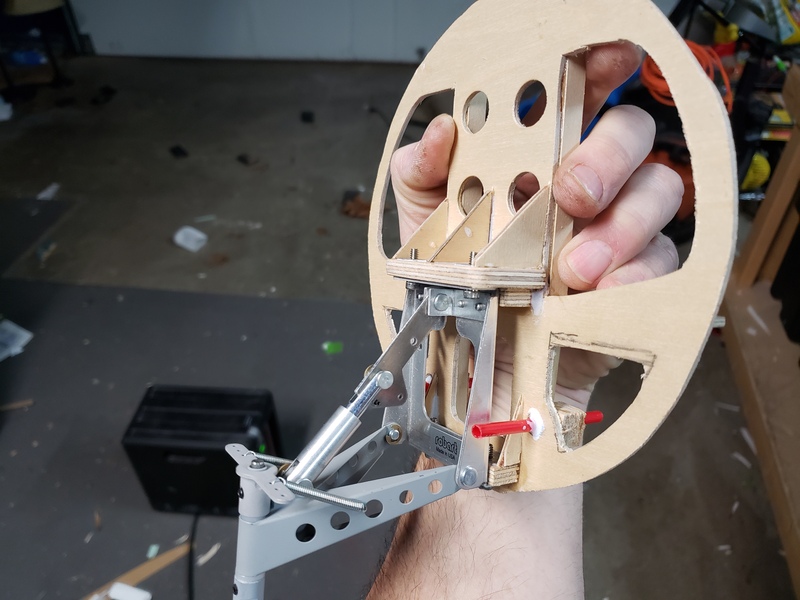 Still yet to do is to add a few small triangular supports to the mount plates, add two small tubes to run the pull/pull cables through that will prevent the lines from rubbing on the retract, and then to remove additional material on the lower half. 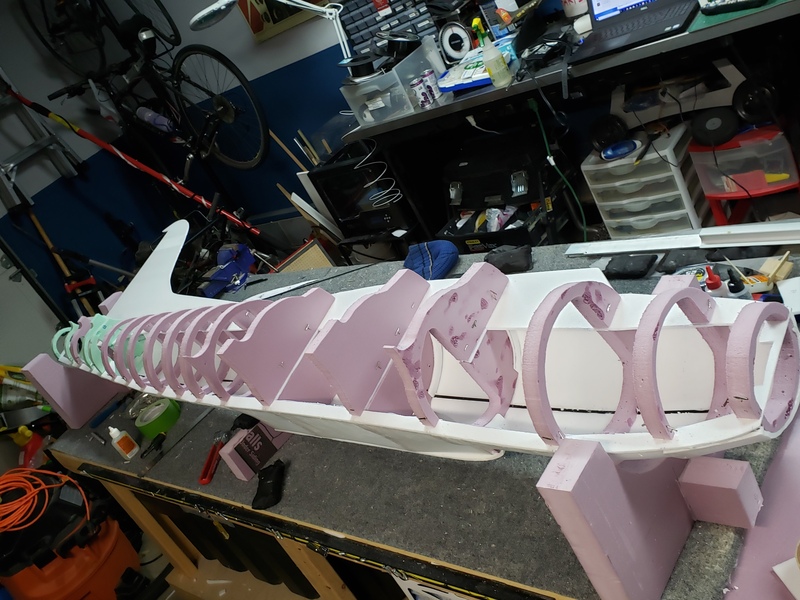 With any luck this will be the only ply in the aft fuse (not including necessary ply parts for the control surfaces and servo mounts). Some shots this morning with the clamps removed. 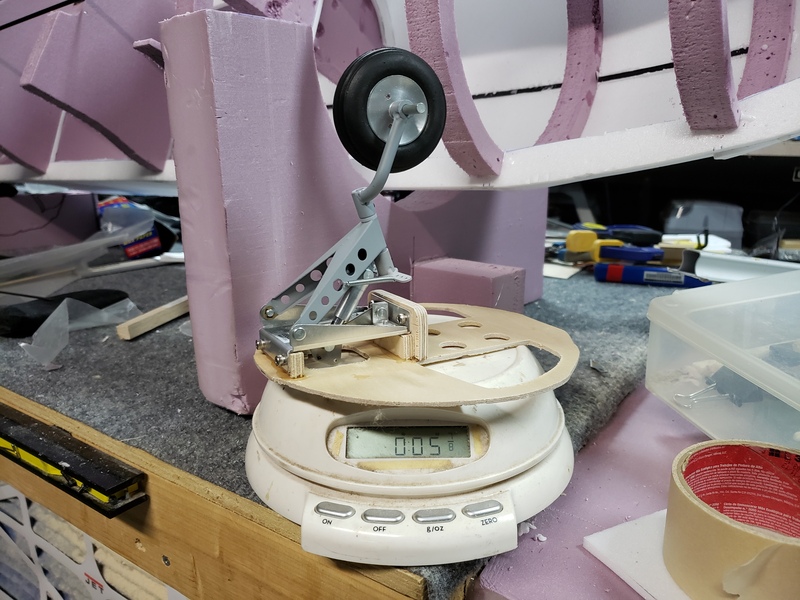 Just under 6oz at this point most of which is the retract and wheel. I'm looking at this thinking that some additional reinforcement may be wise. A simple hardwood or CF square tube spar across the entire plate at the back right at the point where the mount sits. There is likely to be some bounce and I'd hate to see that ply buckle or crack over time. Makes sense. 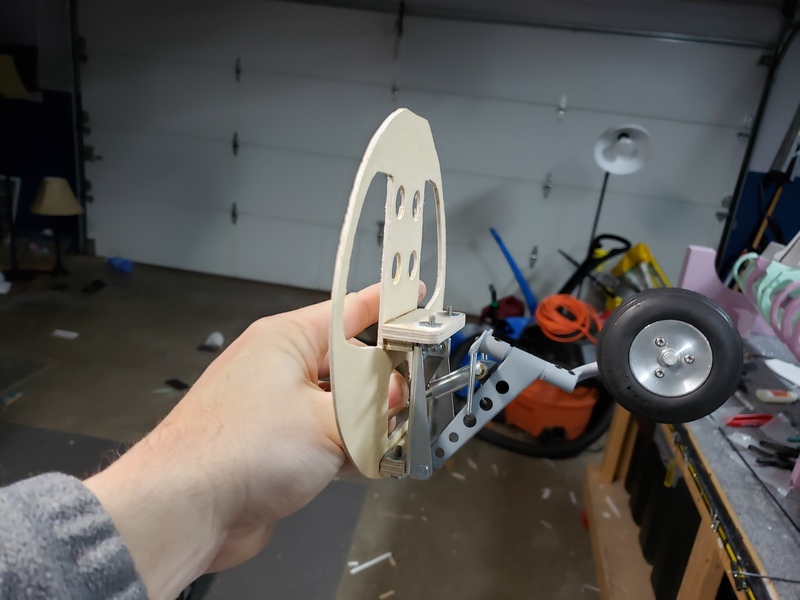 I'll look at adding a little bracing on the forward side of the plate. 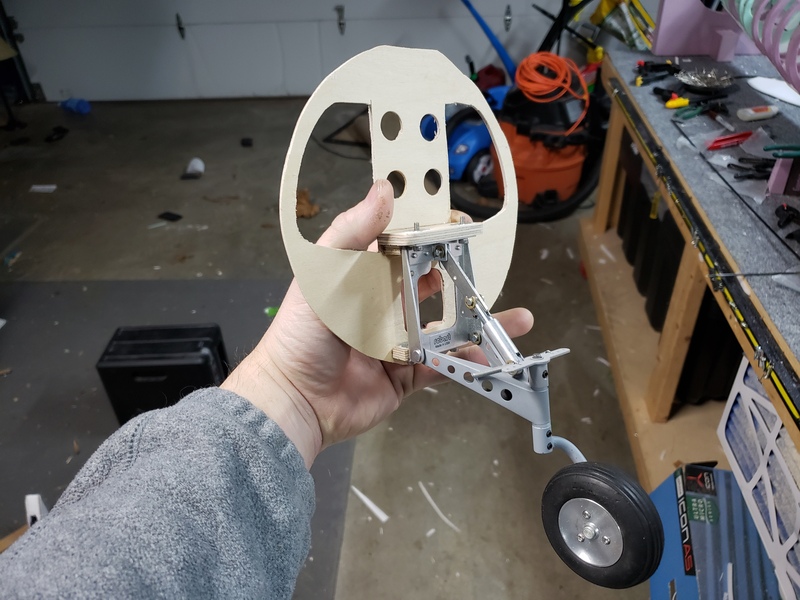 The retract does have an oleo on it but the travel is only 1/2" or so the plate will likely still see a bit of impact. Former should be complete now. Triangular supports added to the mount blocks and three cross braces added to the backside. Also added the guide tubes for the pull cables. Now that is a BIG plane! 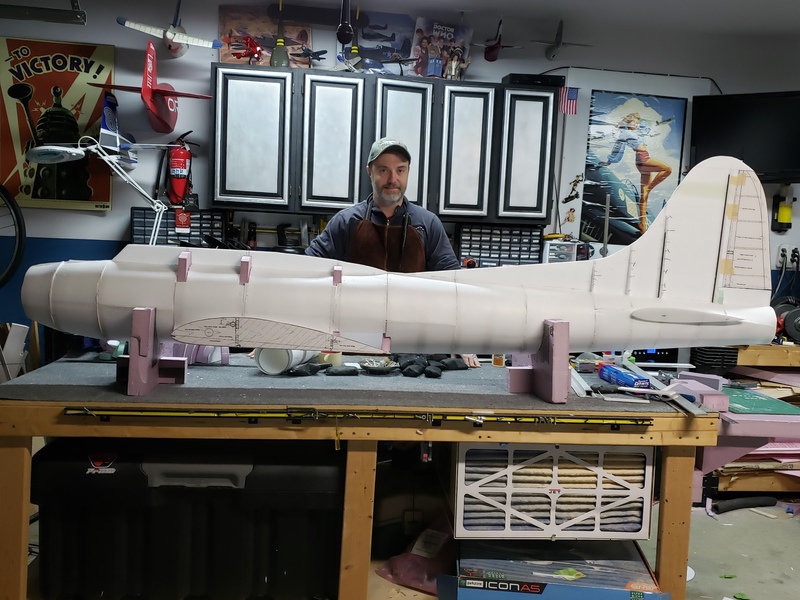 A very cool plane too, I'm exited to see this one get built, looks good! Thanks for the update! 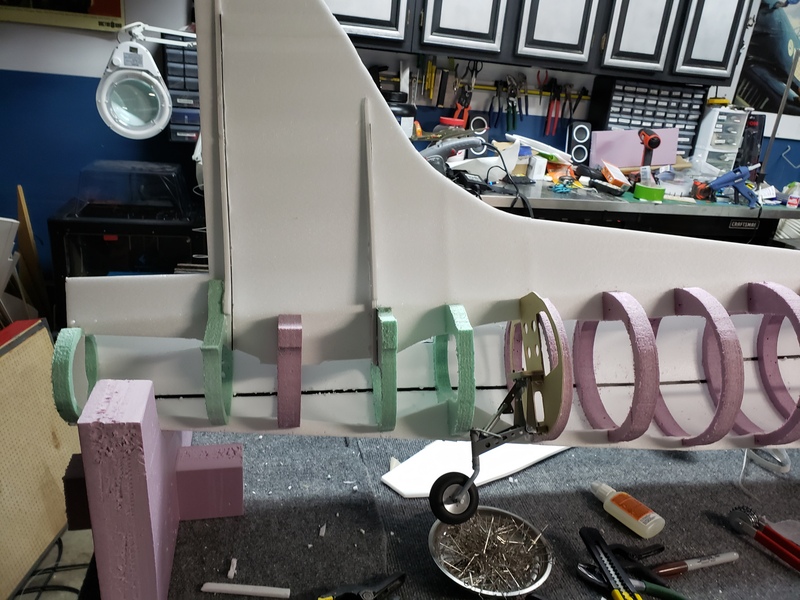 What's the benefit of sheeting in balsa before glassing? Would it work to just glass over the foam? I debated covering this on this video but decided to talk about it on the next one. Fiberglass over foam would definitely work, but when those models sit out in the sun and get hot the foam starts to outgas a bit. 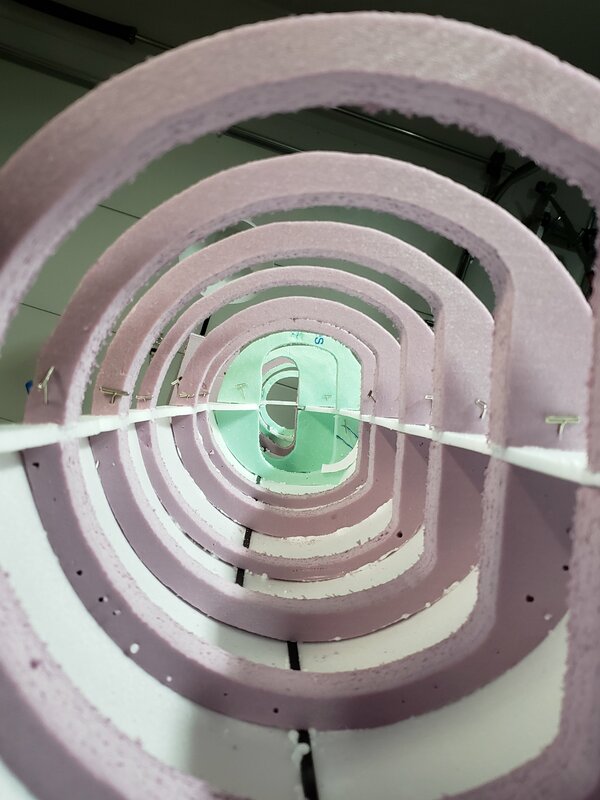 This can cause the glass to delaminate from the foam and create bubbles in the surface. My P-40 already has a number of these small bubbles. The easy solution is to just keep the models in the shade or covered when they aren't flying. For a model this size that will present a big challenge. Sheeting in balsa prevents this from happening. That makes sense! I love these build threads because I get to learn so much!